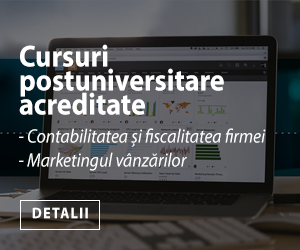 The Bachelor program Business Administration, in the fundamental field of Economic Sciences, the field of Bachelor academic studies in Business Administration intends to train highly qualified experts, able to analyze and think critically on the aspects in the field of business, to pertinently solve the issues and to draft efficient decisions for the proper functioning of the activity of the private companies and institutions in the Romanian and European economic systems. The general objective of the program is to train skills and cognitive abilities in the field of business administration, which to provide the lecturers with the possibility of professional involvement into the analysis of the situations and in decision-taking, both for the awarding of some efficient development of the economic activities, and for the development of some new business and poles for technological and economic development. The achievement of training which gives the graduates the possibility for further development by taking master studies in the field.